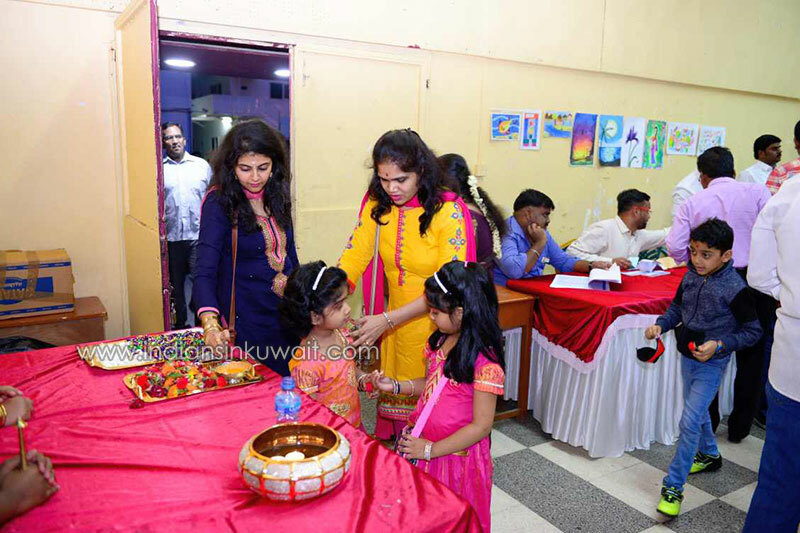 Yes, it was one such occasion on 22-Nov-2018, the KTS Children’s Day Celebrations, where our children were all eagerly waiting to go to and unveil their talents to the World. 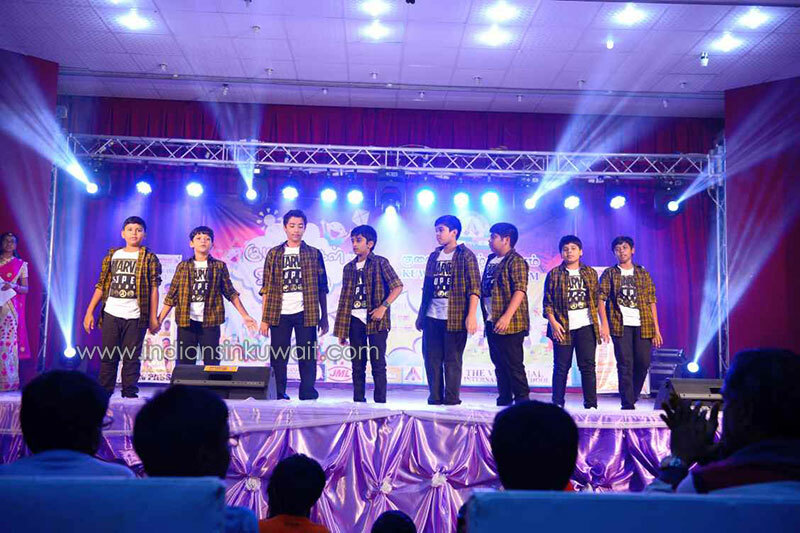 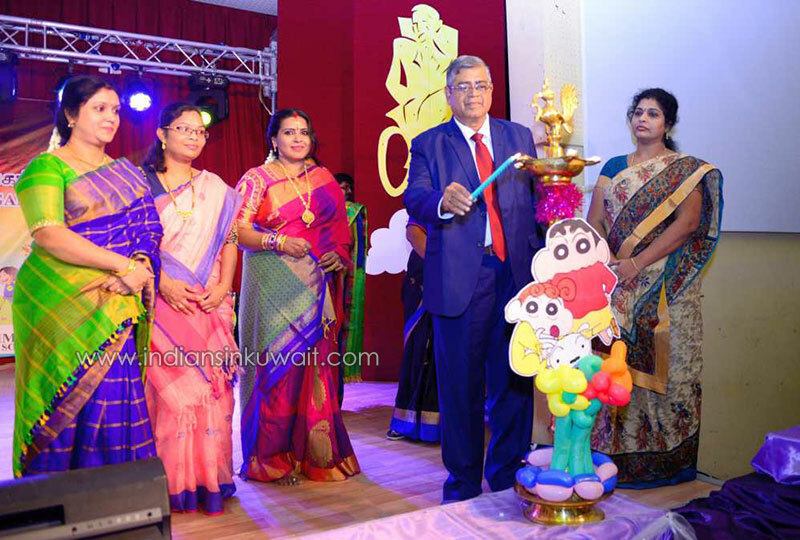 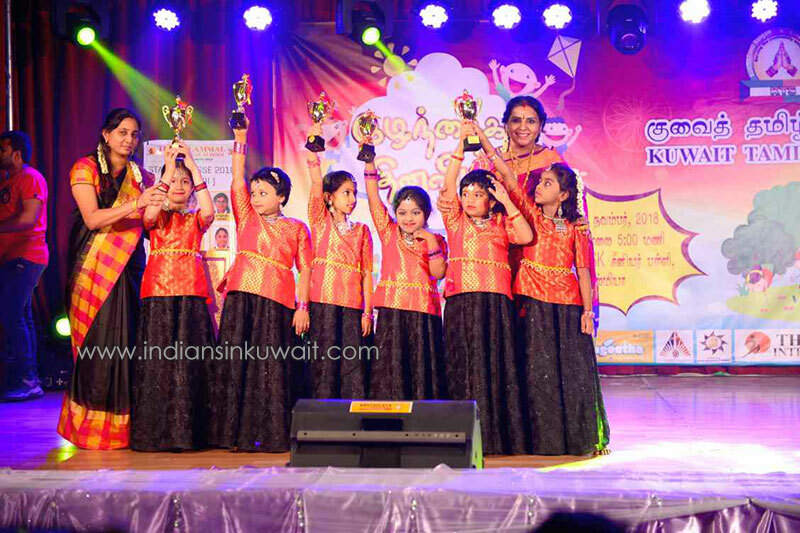 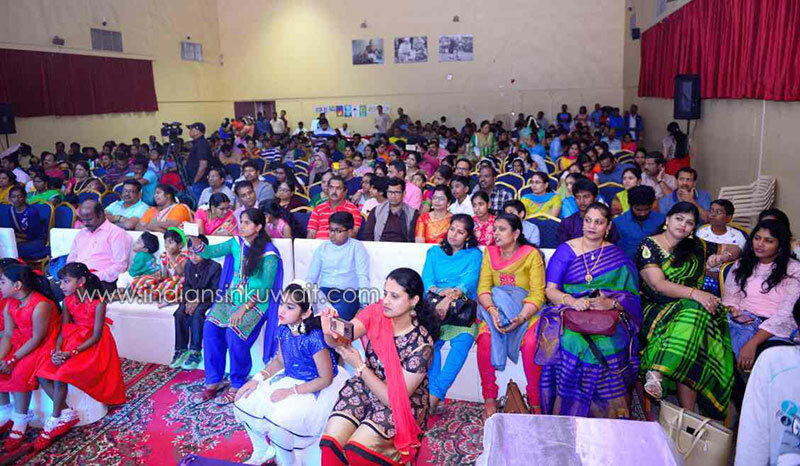 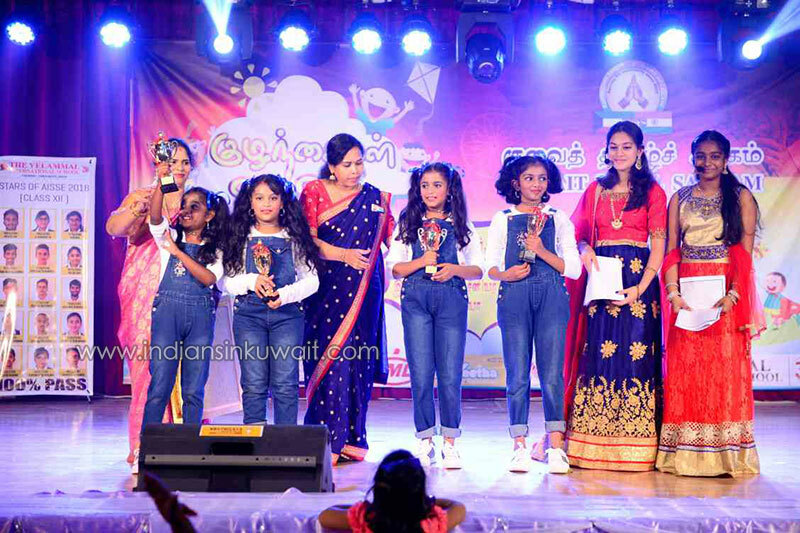 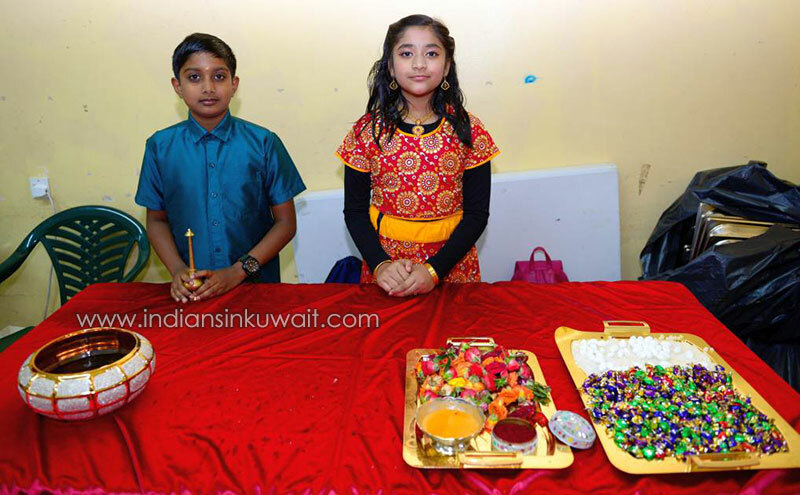 This year’s celebrations were held at the well-known Auditorium of ICSK Senior School in Salmiya. 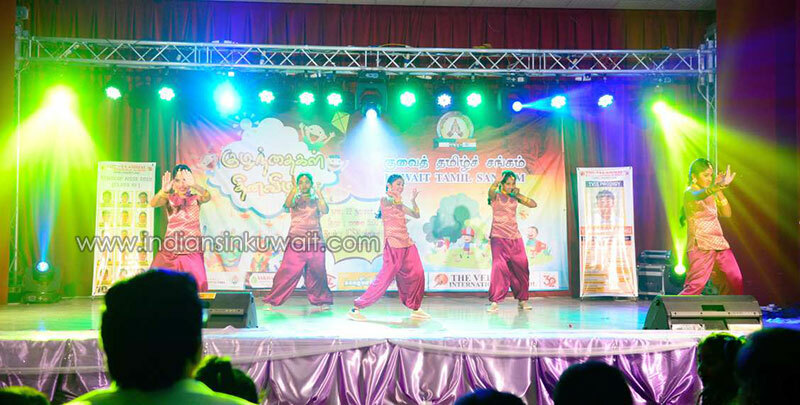 Children’s Day is all about sports, music, dance and fun - in nutshell ‘beautiful memories’. 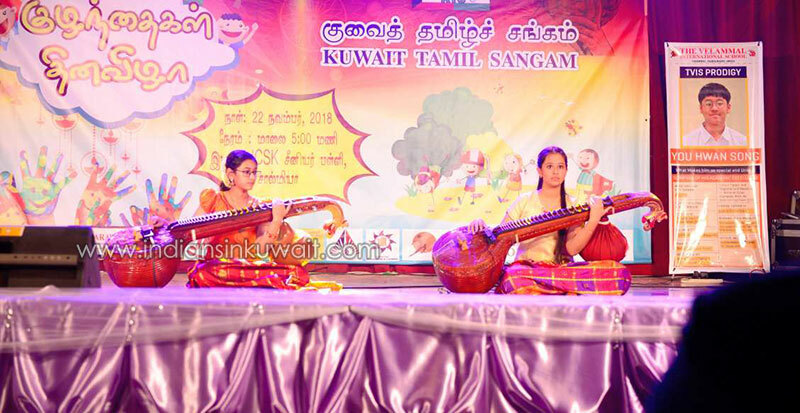 The celebrations started by paying respect with Tamil Thaai Vaazhthu and Kuwait National Anthem followed by a chain of wonderful performances by the children. 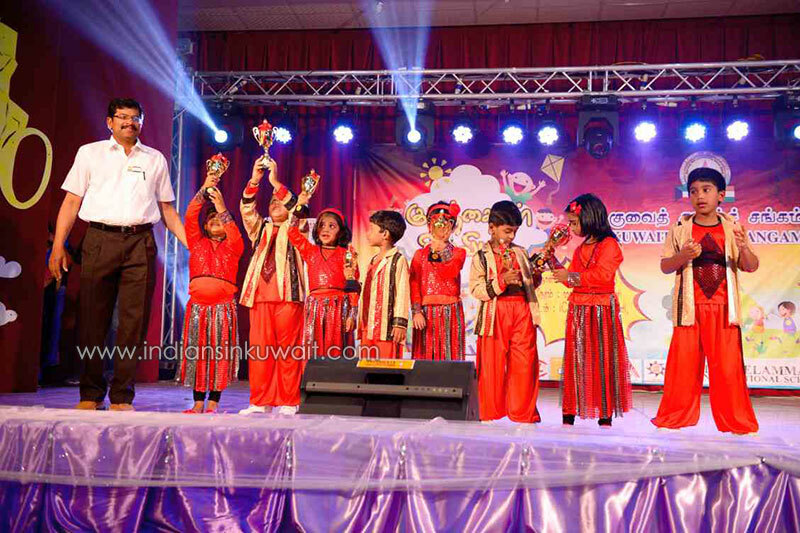 Every child is like a different kind of flower in a garden and together they form a colorful beautiful garland. 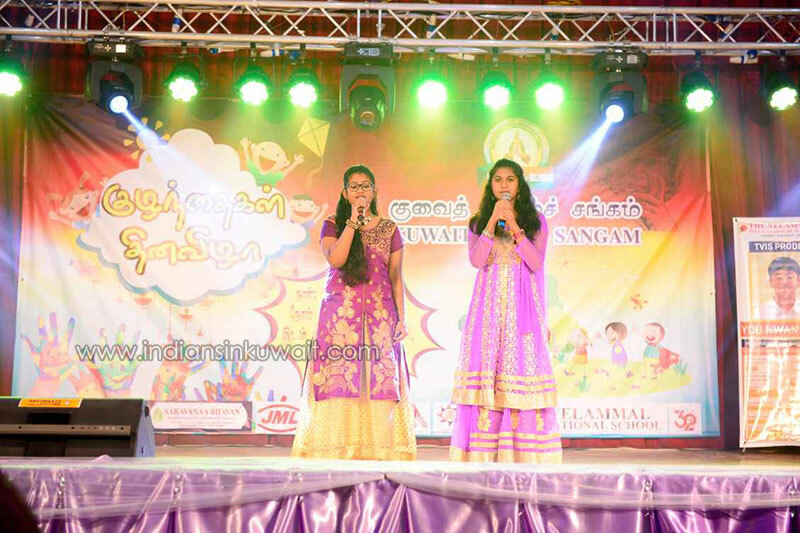 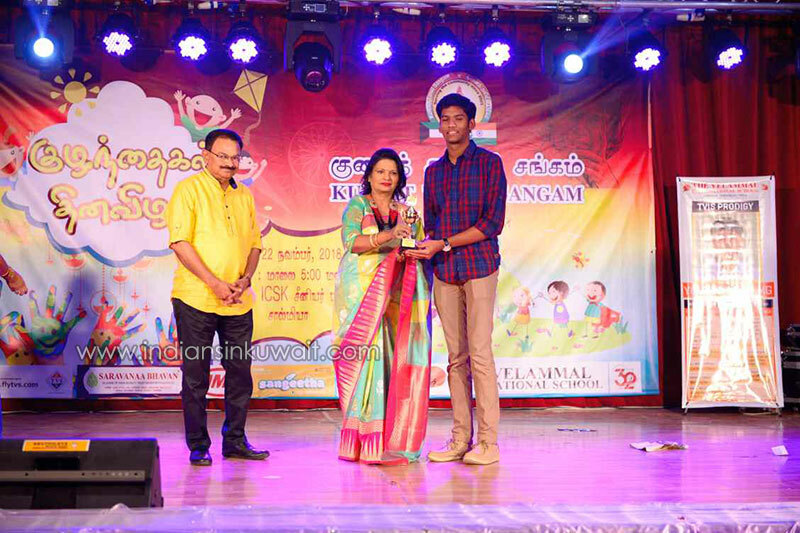 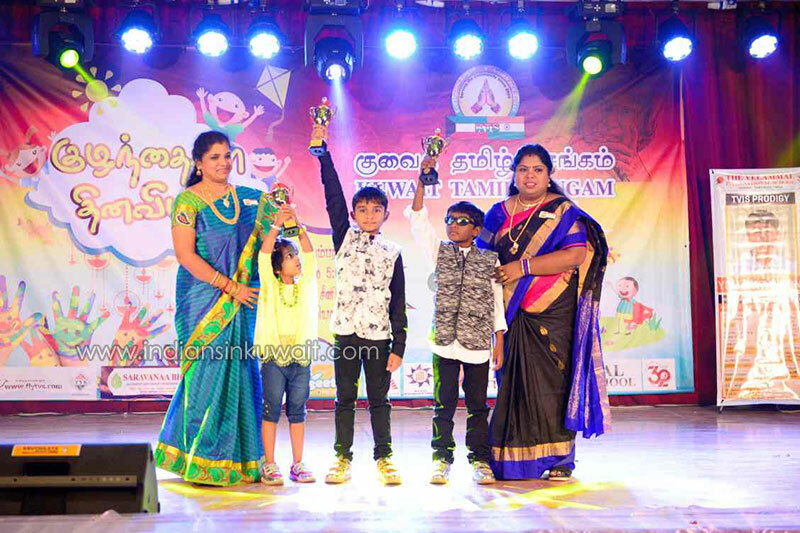 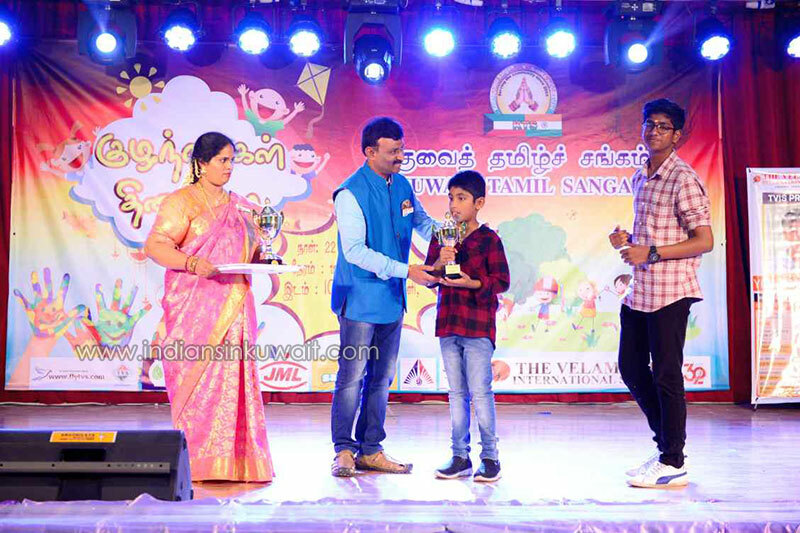 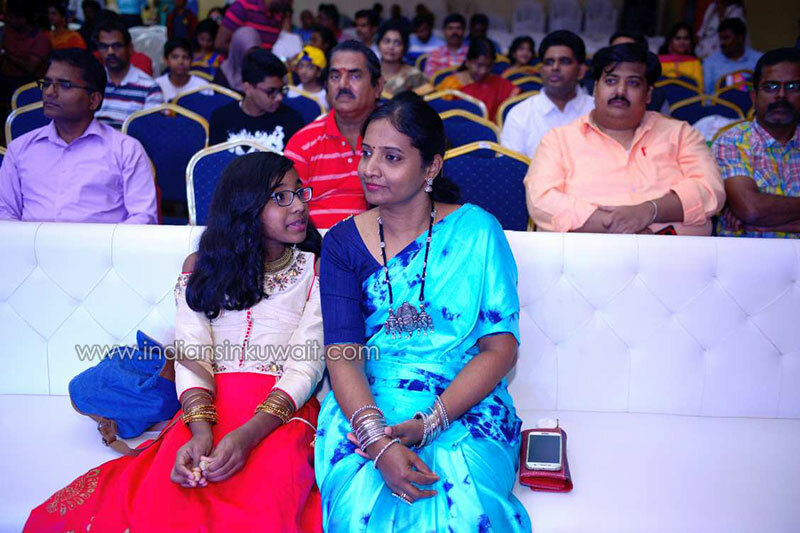 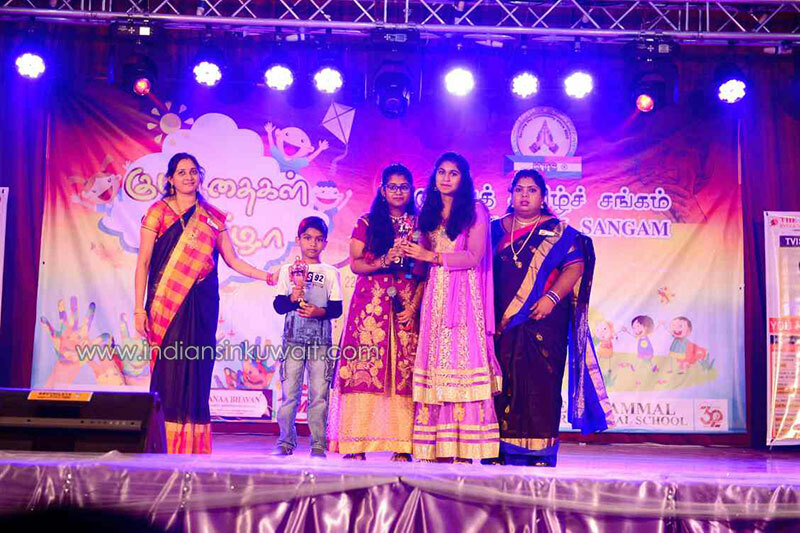 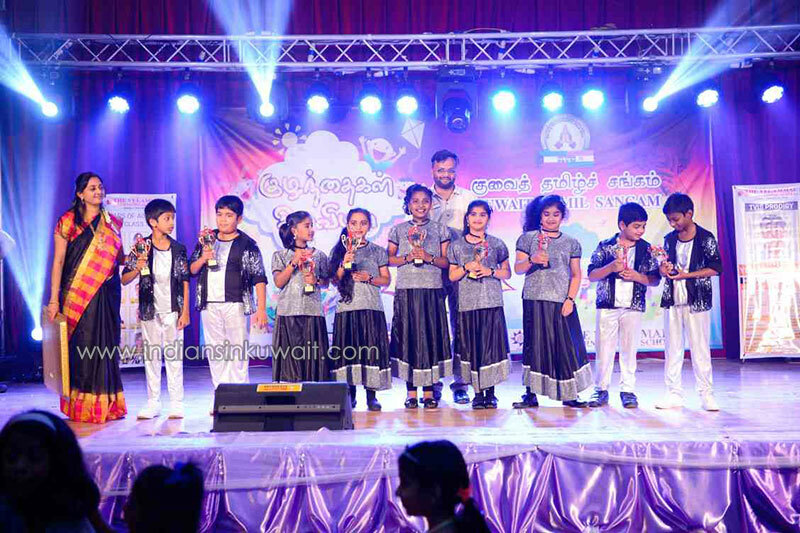 Over 240 children of age groups from 3 to 17 years were on-stage showcasing their talents in various events like Fashion Show, Fancy Dress, Instrumental Music, Solo Singing, Dance and Skit – all of this hosted by our own children in their own style. 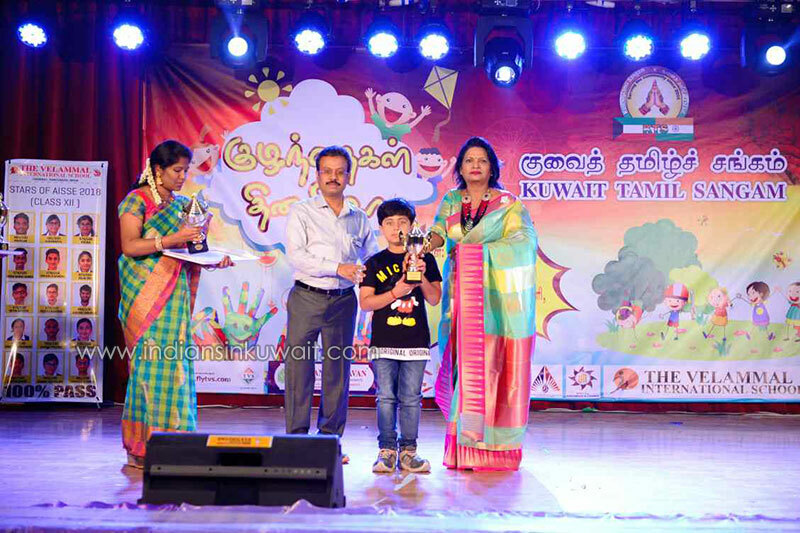 Earlier, as part of the Sports Day for children, a string of indoor and outdoor games like Chess, Carrom, Drawing, Shuttle Badminton, Slow-Cycling and Sack Race were conducted. 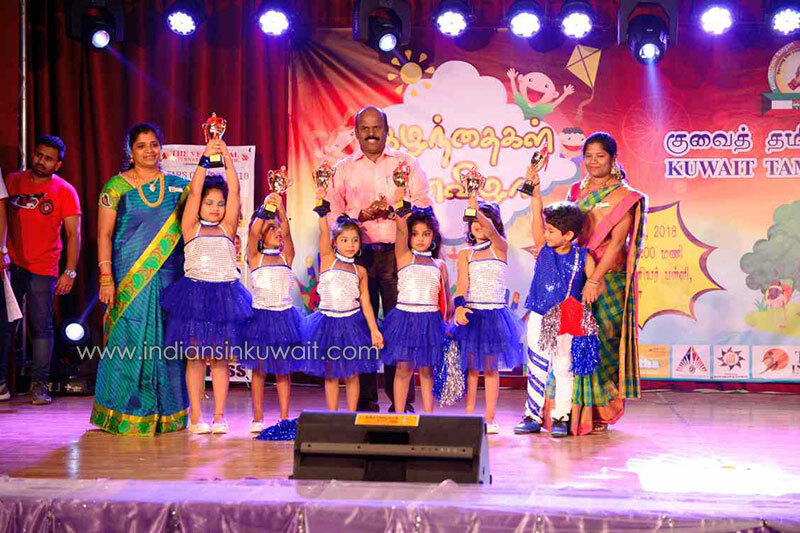 All the events attracted overwhelming response from our children and they displayed their abilities in a remarkable manner. 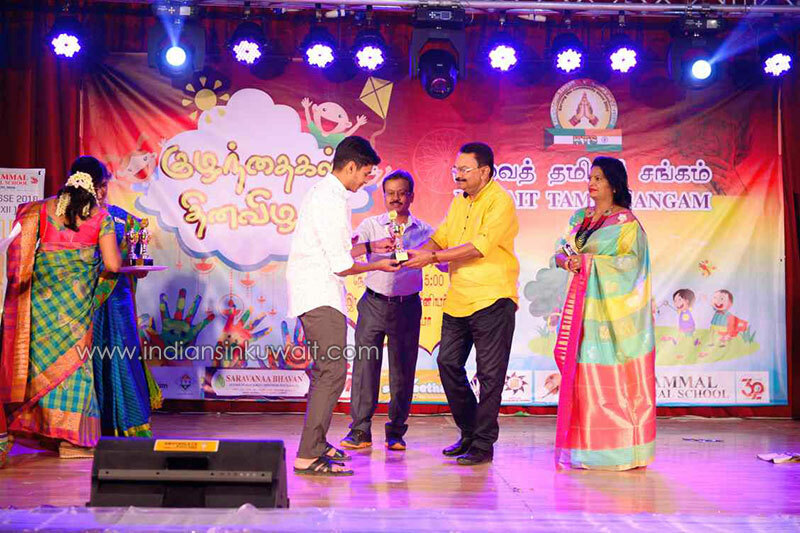 As the golden words of Honourable Dr. Shri. 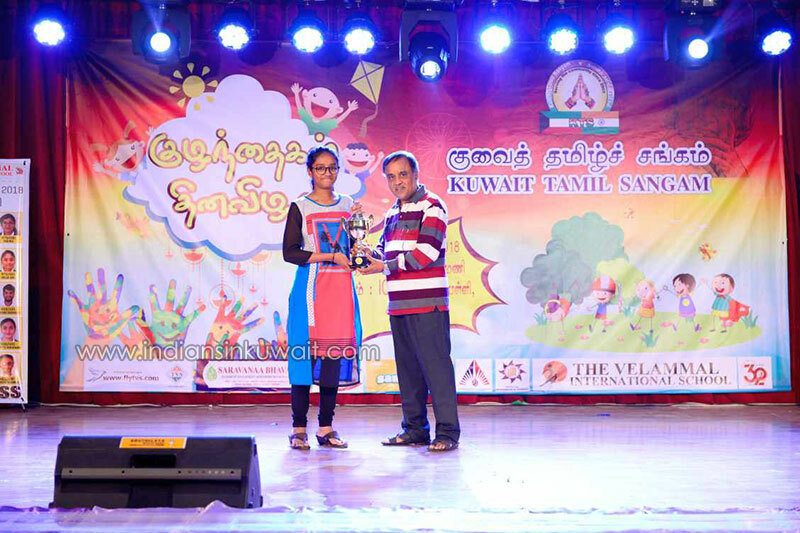 APJ Abdul Kalam reads, “Let us sacrifice our today so that our children can have a better tomorrow”, KTS took the occasion to reward the efforts of the children who successfully cleared their 10th and 12th Grade Examinations in the academic year 2017-18. 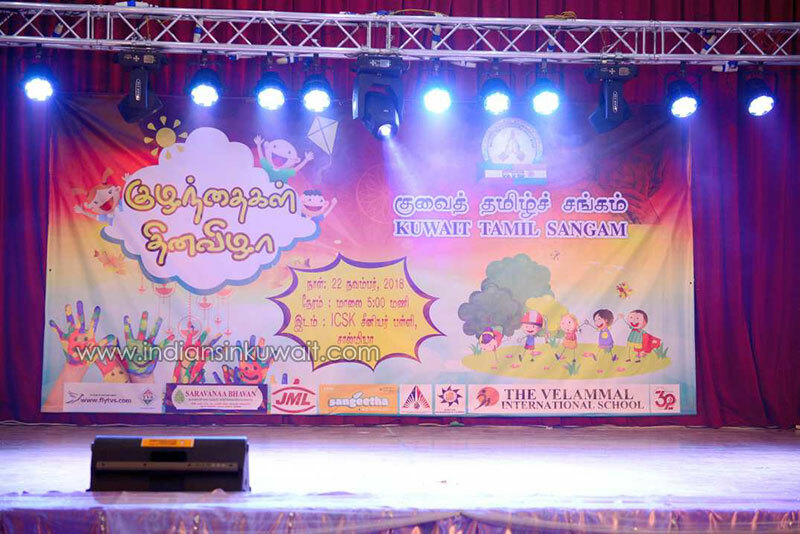 Our Guest of Honor, Mr. Kothanda Raman, Principal of The Velammal International School, Chennai, delivered his Keynote address on this occasion, which was very much motivational and refreshing, indeed a real boost to our children. 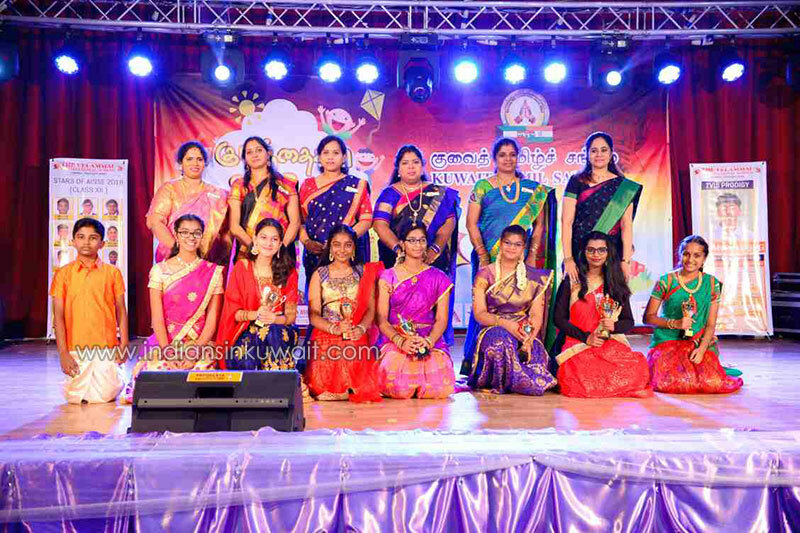 The commendable work done by the show-makers behind the screen was of the lady committee members, which was really appreciated by the audience. 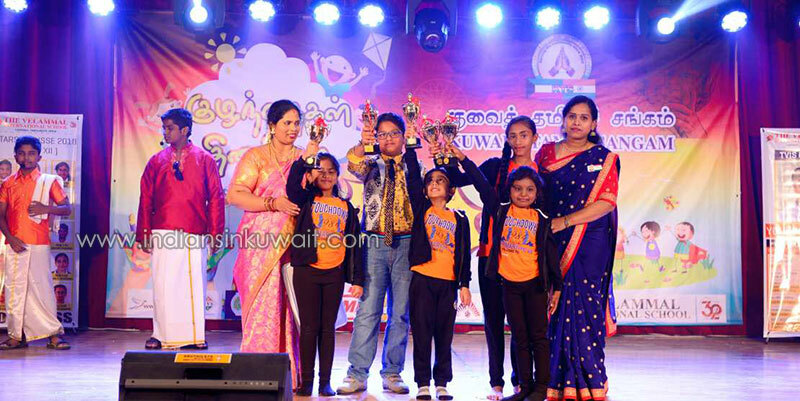 To summarize the memories of the day, each child was a Winner and was awarded with a lovely memento that they can cherish for their lifetime. 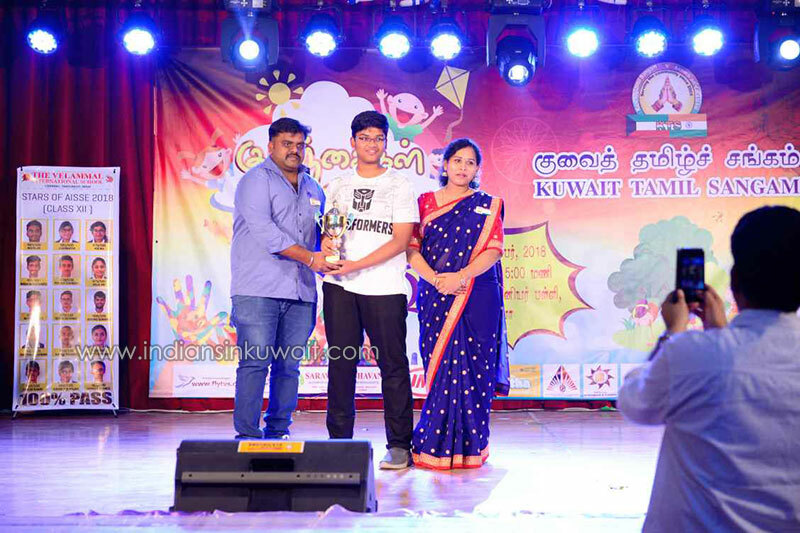 And finally to wrap-up the celebrations, enjoyable dinner was served by Kuwait Saravanaa Bhavan to all KTS family members who returned back to their homes with their hearts full of memories and stomach full of delicious food. 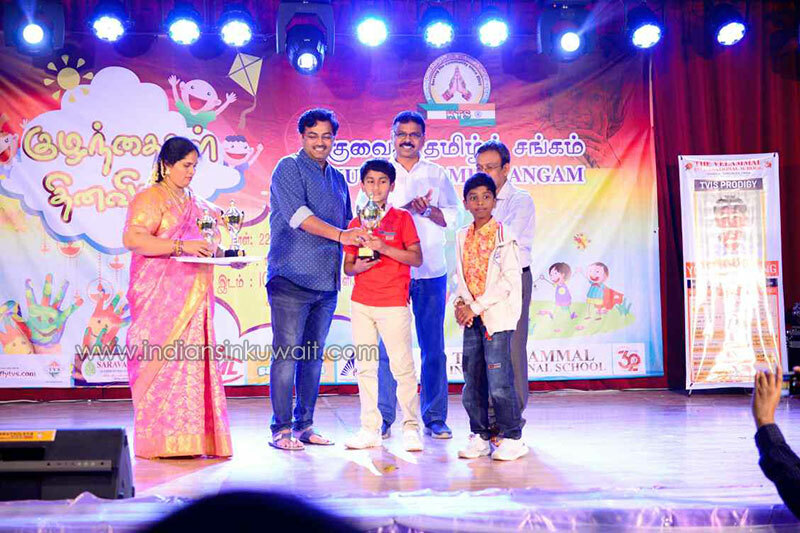 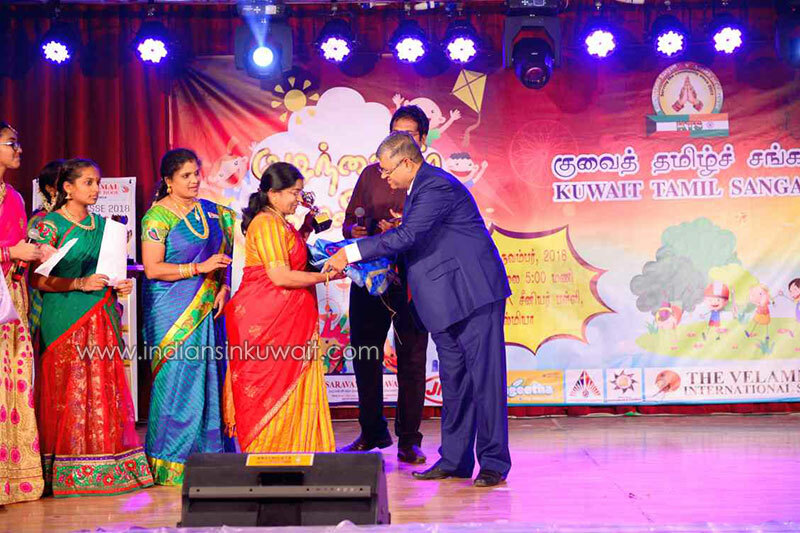 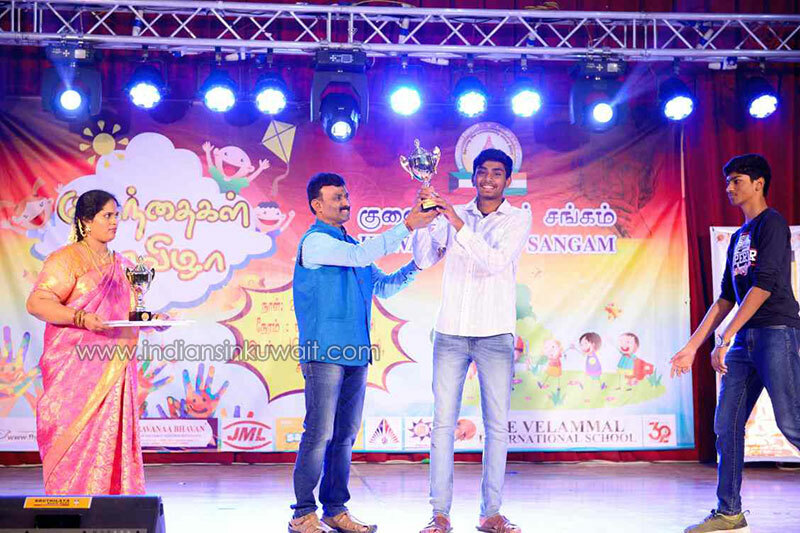 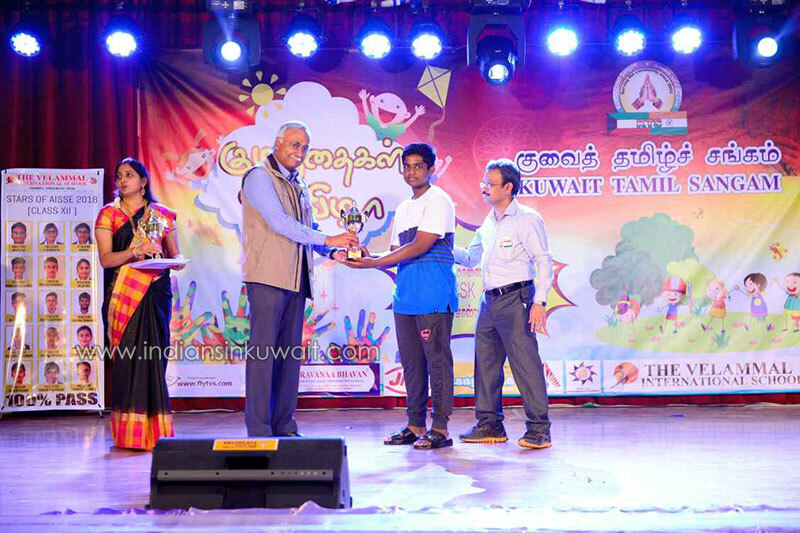 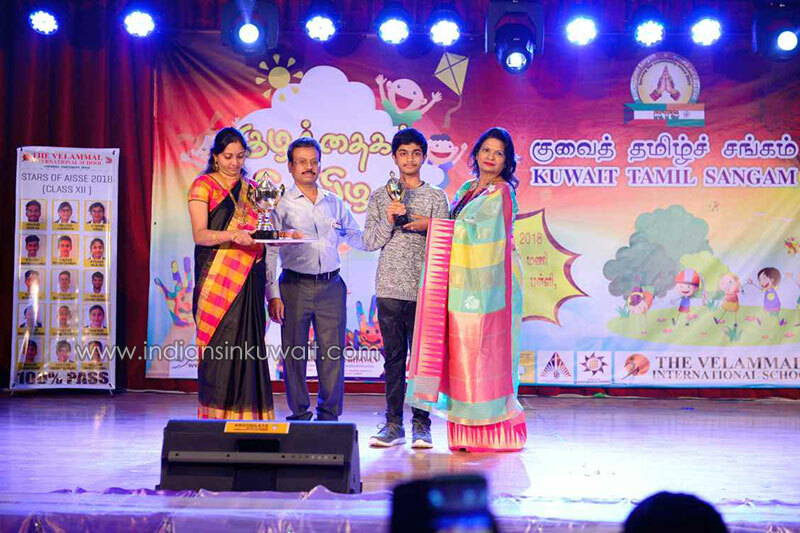 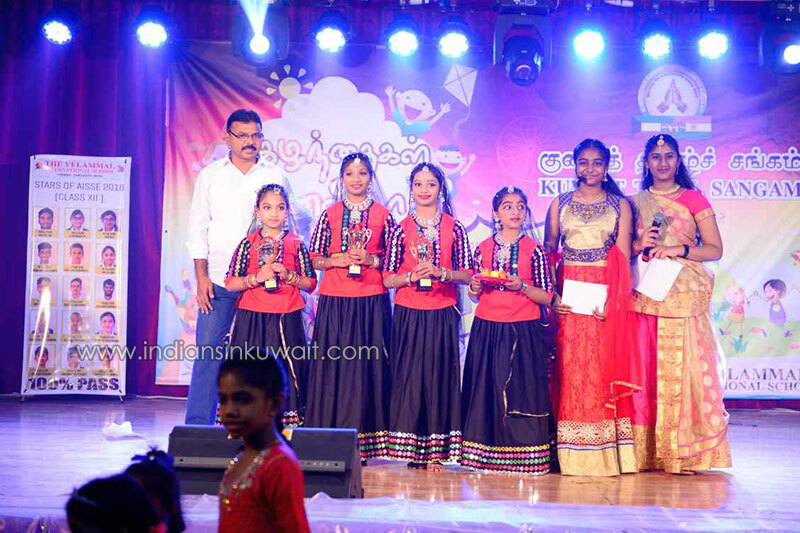 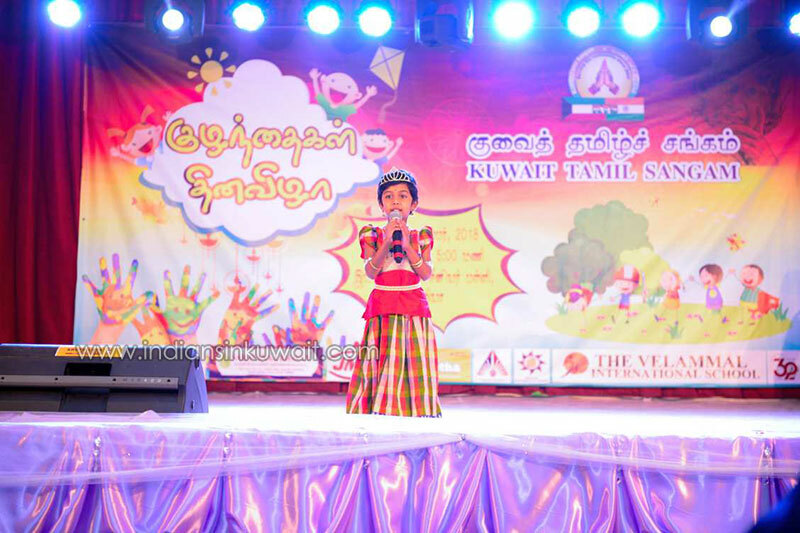 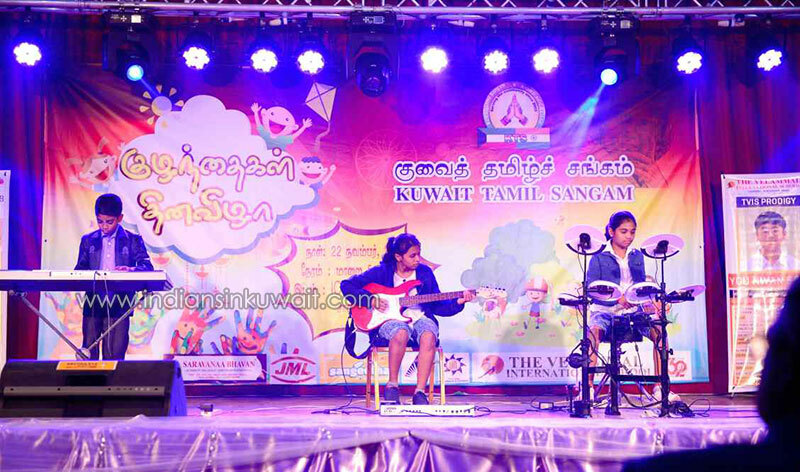 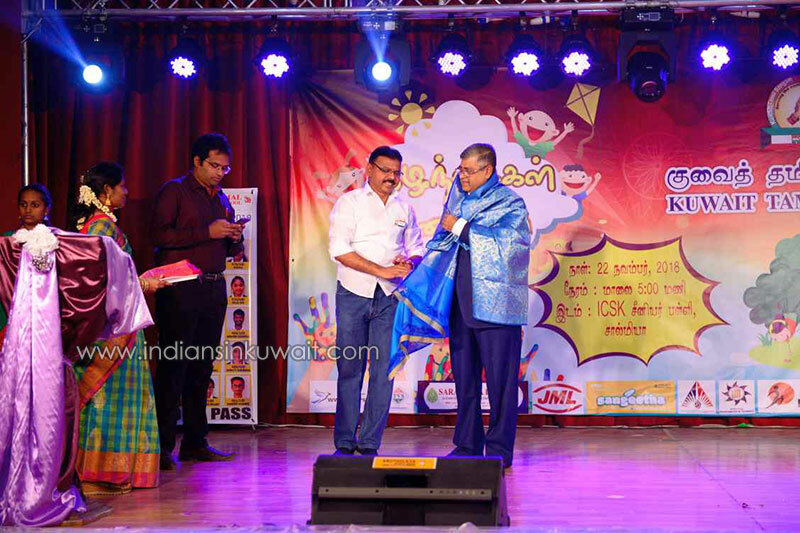 The Secretary of Kuwait Tamil Sangam, Mr. Mariappan headed the event and ensured that all was in order. 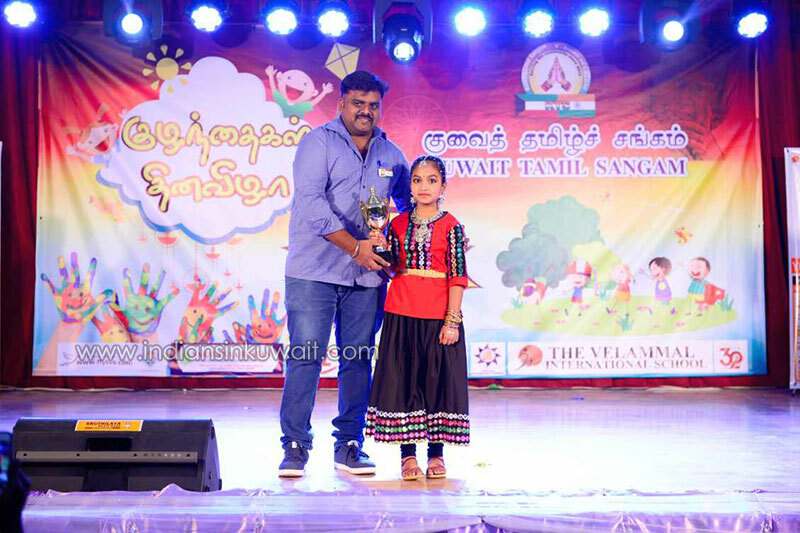 He also made an announcement regarding their upcoming mega Pongal Festivities to be held in Jan-2019. 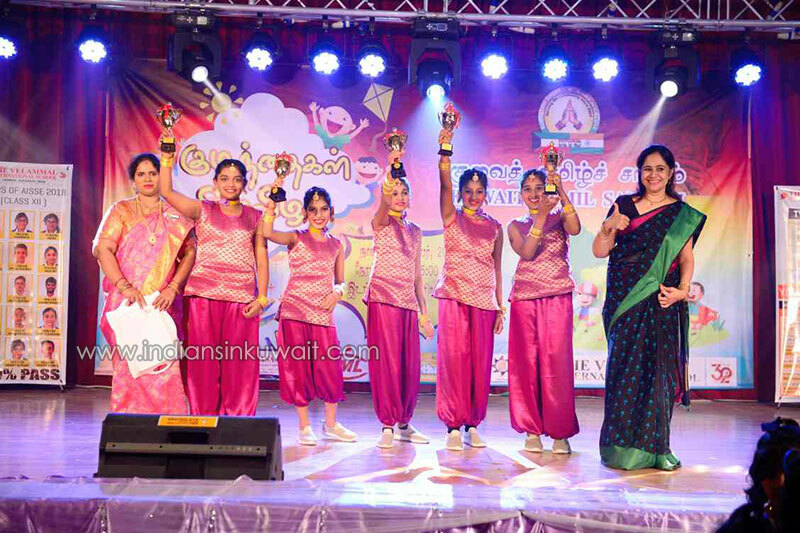 World famous band of musicians of the ‘Lakshman Sruthi’ troupe would be performing on the occasion.